The Sacred Heart Roman Catholic Church was erected in 1890 as a frame building. The next year a brick structure was built. 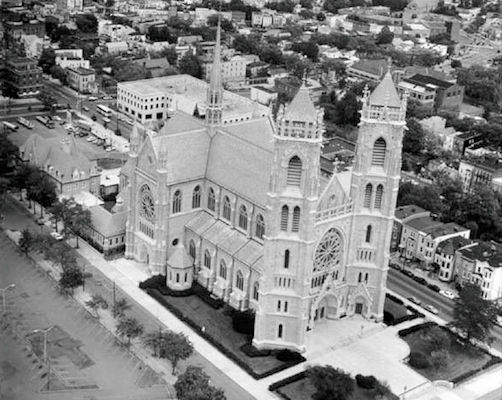 The Cathedral was built in the 1910's. The parish school was founded in 1890, with the convent being built in 1900. The exterior of the cathedral is made of Troy white granite from New Hampshire (American Architect & Building News - 1906 Vol 90). NOTE: Microfilm originals are at the church. Includes individual indexes. The marriage index is for grooms only.